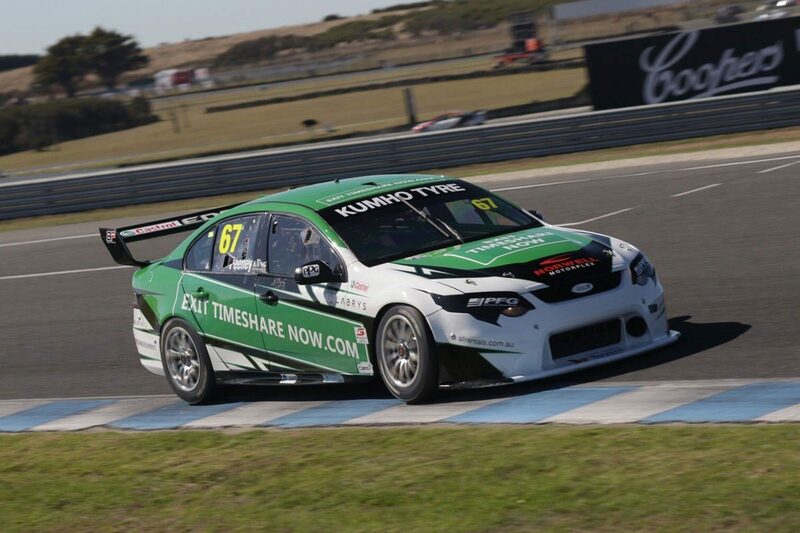 Thomas Randle charged through from 22nd on the grid to take victory in the Paynter Dixon Touring Car Masters Dometic Trophy Race on the first day of the Phillip Island SuperSprint. Tony Karanfilovski (Ford Mustang) assumed the lead on the run down to Doohan Corner as Paul Freestone slipped off the road in his Chevrolet Camaro after running over oil dry on the outside of the first turn. Jeremy Gray, debuting his Ford Capri this weekend, took over the lead at the Southern Loop on Lap 3 as Karanfilovski had to defend from Ryal Harris after understeering wide. Harris then skated off the road from third at the Hayshed and ultimately retired the Chevrolet Camaro with a ball joint failure and a puncture. Meanwhile, Randle (Ford Mustang) marched his way forward past Camaro drivers Karanfilovski and Adam Bressington for second. Next in Randle’s crosshairs was race leader Gray, with the 23-year old roaring past on Gardner Straight at the beginning of Lap 8 to take the lead. Randle won by 3.7s as Bressington sliced past Gray for second on the last lap. Steven Johnson proved fastest in Qualifying for Race 1 with a 1:40.400s aboard his Ford Mustang. 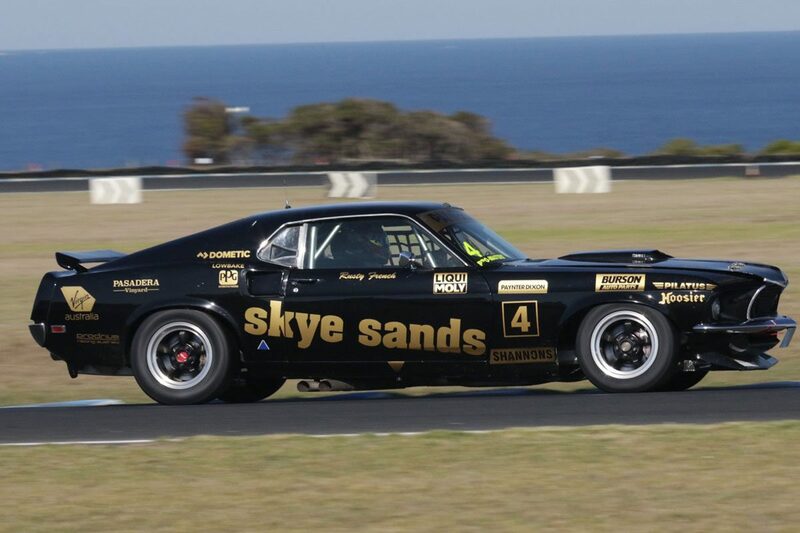 Randle was a close second, 0.05s off the top of the time sheets while Jim Pollicina (Holden Torana) was third. The first two points-paying races for Touring Car Masters are set to begin on Saturday at 1005 and 1410 local time/AEST. Debutants filled the top six positions in Practice 2 for the first round of the Kumho Tyre Super3 Series, the best of which was Broc Feeney by more than half a second. Feeney, Paul Morris’ latest protégé in the #67 FG Falcon, went fastest on the second flyers with a 1:33.9941s and improved to a 1:33.0973s late in his second run. The Toyota 86 race winner rounded out his afternoon with a creditable 1:33.3405s on his following lap. The three MW Motorsport FG Falcons were strong, with last year’s Formula Ford runner-up Hamish Ribarits second fastest at 0.5876s adrift on his first official day in a Supercar, fellow rookie Nic Carroll fifth, and 2018 Super3 runner-up Zak Best seventh. Brad Jones Racing’s Josh Fife and Madeline Stewart, both of whom are fresh out of karting, were third and ninth respectively courtesy of their final laps in the Albury team’s VEII Commodores. Current Australian Formula 4 champion Jayden Ojeda took fourth in the Anderson Motorsport FG Falcon, Matt McLean (Image Racing FG Falcon) was sixth, eighth went to yet another first-timer in Matt Powers (Aussie Driver Search FG Falcon), and 10th to Jon McCorkindale (Mac Motorsport FG Falcon). Around net five minutes were lost due to a mid-session red flag caused by a grass fire where Emily Duggan had come to a halt after she spun her VE Commodore at Southern Loop. Timing credits Ojeda with the fastest lap in Practice 1 with a 1:27.5747s although that figure, almost four seconds faster than the benchmark in the following Virgin Australia Supercars Championship session, is believed to be inaccurate due to technical issues during the morning. Qualifying takes place tomorrow at 0935 and Race 1 over 10 laps from 1210. Tim Brook ended the opening day of practice fastest in the Toyota 86 Racing Series. The 2018 series winner’s 1:51.6124s lap from Practice 1 stood as the quickest of the day, with Practice 2 proving marginally slower than the morning session. John Iafolla was a tenth back in second for the session, followed by Declan Fraser, while Garth and Leanne Tander were 16th and 17th respectively. Multiple drivers found themselves running through the grass, however the only notable incident occurred in Practice 1. Harley Phelan dropped it on the exit of the Southern Loop and spun into the tyre wall on the inside of the circuit, limping back to the pit lane with minor damage. Ben Grice topped the second practice session, ahead of Luke King and Jaden Ransley, leaving him third on combined times. Leanne Tander was 24th fastest and Garth 25th in the afternoon runing. Qualifying for the Toyota 86s will see the green flag on Saturday at 0910, ahead of Race 1 at 1240.